What’s the best breakfast to eat before you go skiing?… indeed possibly the most nutritious breakfast in the world? 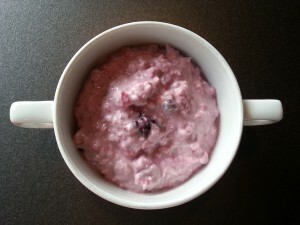 The Swiss will unanimously answer “Bircher Muësli”…. and more and more people around the world are beginning to agree with them. 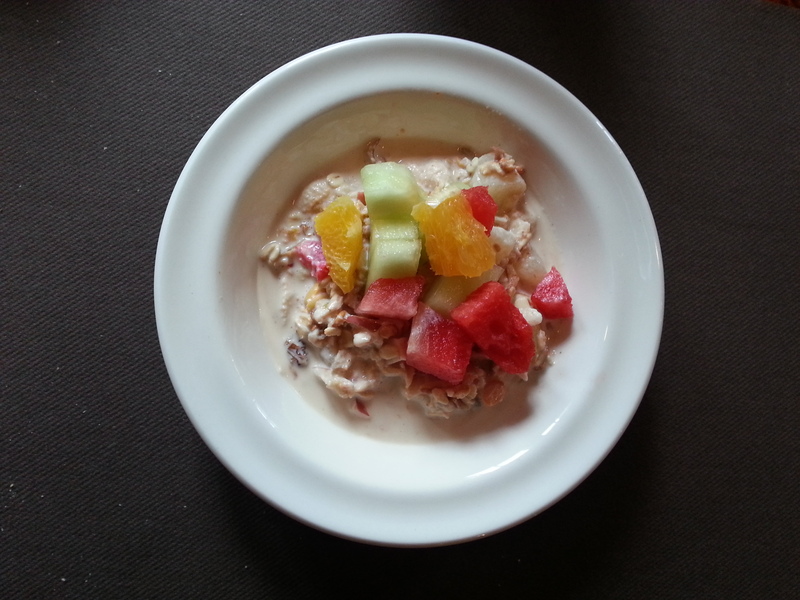 This naturally sweet cereal dish was created by a Swiss doctor, Dr Maximilian Oskar Bircher-Benner (1867-1939) – one of the earliest promoters of raw food diets – in the 1890s for the patients in his special spa-clinic in Zurich, which he called the Sanatorium Lebendige Kraft (Vital Force Sanatorium). 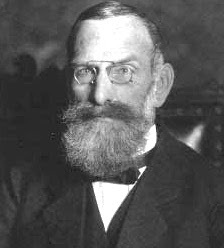 At the clinic, Dr Bircher-Benner avoided prescribing drugs wherever possible, devising instead special dietary programmes for his patients. 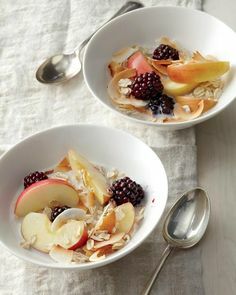 Every meal would start with a small dish of his muesli (also called at the time Birchermüesli), which was essentially grated whole apple with a very small amount of nuts, milk and oats. People who followed his beliefs strictly were called “Miislis.” After their Bircher muesli starter, they would eat a main course of raw vegetables followed by a small cooked dish (usually vegetarian) and then a dessert. Before long, it had caught on throughout Switzerland as a nourishing meal and the perfect way to start the day. It also became a popular supper dish. A typical ‘Bircher’ nowadays combines fruits, nuts and oats to delicious yet virtuous effect – a special muesli mix, with a dollop of creamy plain yoghurt stirred in. If you’ve never eaten one, this gooey fresh muesli dish will be a revelation to you – it really bears no resemblance to the dry muesli that comes in a box. Not only is it ideal before skiing, it’s a perfect breakfast year-round – an energy hit to start the day; a delicious alternative to porridge in mid-winter, yet equally tasty and nourishing on a summer’s morning. And you can balance the oat vs fruit content to suit. It’s certainly a winner with our children. 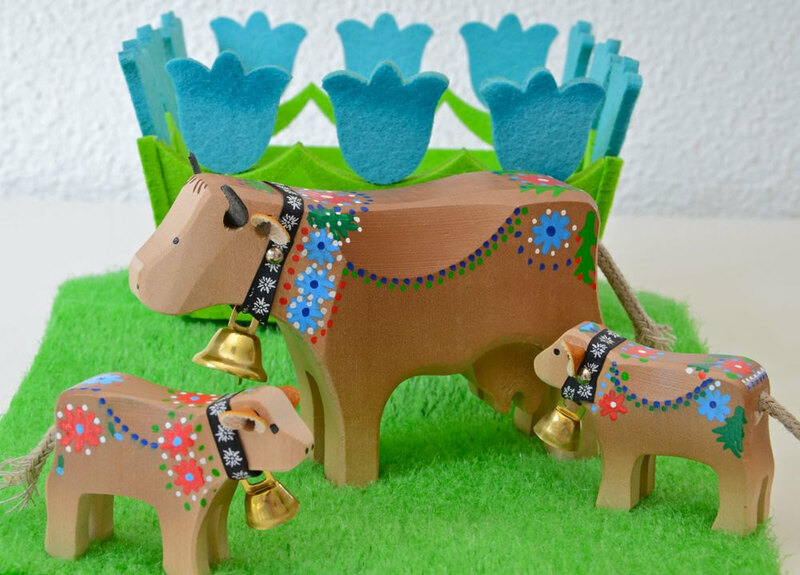 In fact, it’s so good, the Swiss still sometimes eat it for their lunch or supper as well as for breakfast! 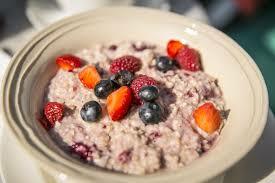 1 Place the oats and berries (or sultanas) in a bowl and pour over 200ml cold water and the juice of one lemon. Leave in the fridge for 2 hours (or overnight). 2 The next morning, peel, core and grate 1 apple and slice the other one. 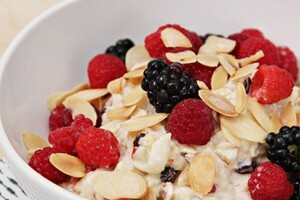 3 Add the, yoghurt, almonds and grated apple to the oats. Stir in some of the blackberries (or raspberries). 4 Serve in individual bowls, topped with apple slices and the remaining blackberries, with a drizzle of honey. The muesli will keep in the fridge for a few days, but don’t grate or stir in the apple until you plan to eat it. It’s equally delicious with strawberries and peaches too, or topped with thinly sliced banana!